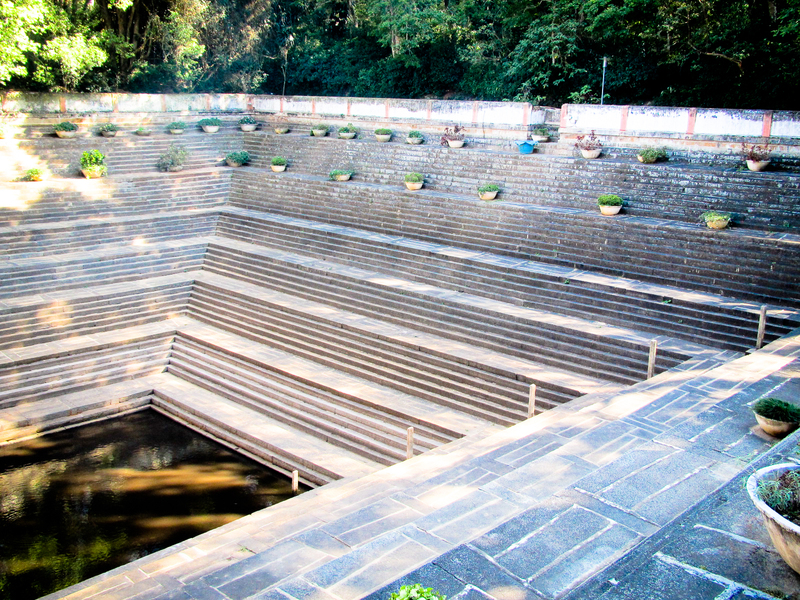 At Tipu Sultan's summer hunting getaway, Nandi Hills, there's a stepwell. While building a stepwell would have been the proper thing for an 18th century ruler to do, Tipu didn't build this one. 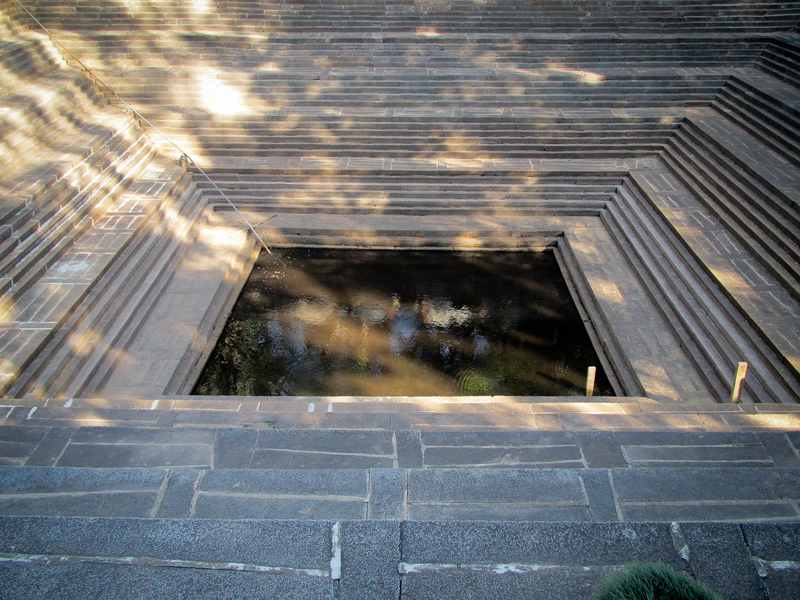 It was constructed in 1932--that makes it the youngest stepwell I know of. 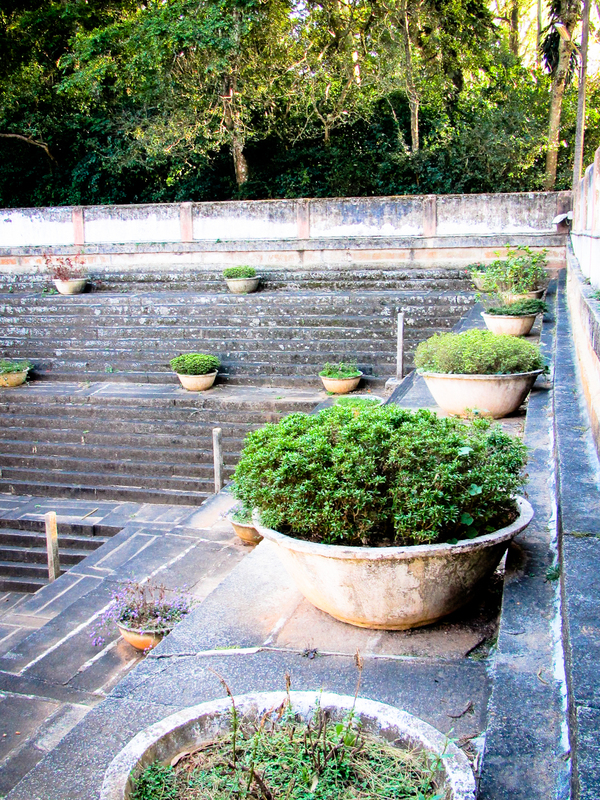 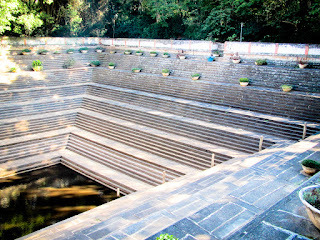 The stepwell is spring fed and supplies water to the nearby plant nursery.